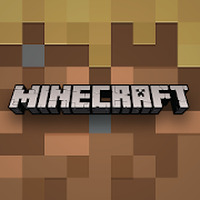 "This app is a free trial for the game Minecraft"
Game Goal: Minecraft Trial is the demo version of the famous Minecraft Pocket Edition and allows users to explore the world famous 3D block game before buying. How to Play: This demo version only allows you to play in Survival mode for a limited period of time. However, the game is an excellent opportunity for people to get to know the Minecraft world. Graphics: Detailed, high-definition 3D graphics. Controls: Precise touch commands perfectly adapted for mobile devices. Ideal for anyone who wants to test Minecraft before buying it. Allows you to test only one game mode (Survival). Do you like Minecraft Trial?